Contact CharterWorld for Costa Brava yacht charter options in Spain. A yachting holiday that is on the wild side is what you can experience when you go for your dream luxury yacht charter on Spain’s Costa Brava. The Costa Brava is rugged terrain that runs on the southeast region of the Iberian Peninsula and it is an interesting destination for those who want something off the beaten track and separate from the usual yacht charter cruising grounds in the Western Mediterranean. Costa Brava is located on the northern section of Spain and is adjacent to France. Being part of the region of Caledonia, Costa Brava is a favorite holiday destination, particularly during the months of April to October. Costa Brava literally means wild coast. This top tourist enclave is everything that is wild and exciting. A perfect place for adventurous and daring souls, traveling on a luxury yacht is next to none if you want to experience all the grandeur and excitement that Costa Brava has to offer. Costa Brava offers varied activities and festivities for those who want to experience the unusual on their Mediterranean holiday, and these include thrilling water adventures, spirited parties and pulsating nightlife. A superyacht charter is wonderful experience when there is Costa Brava scenery serving as your perfect backdrop. On shore, the Costa Brava is also emerging as the favorite haven of golfers, and you can choose from a varied selection of world-class golf courses. For those who are looking for some real action and excitement, Costa Brava is also a perfect place for surfing, diving and parasailing. You can’t afford to miss in the day itineraries of your Costa Brava yacht charter holiday to the renowned monastery at Montserrat, Andorra’s Pyrenean Principality and Barcelona. Costa Brava is full of fascinating surprises, notwithstanding the clichéd tourist interests that have long been associated to it. 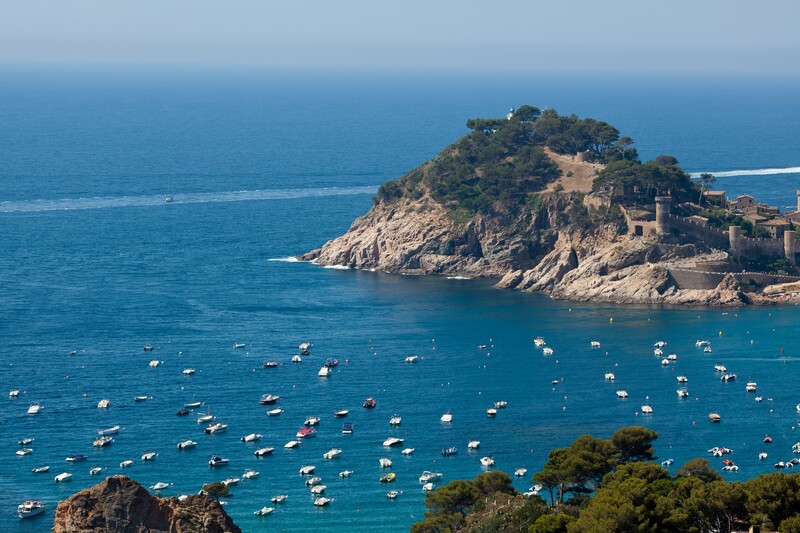 Beyond its lush natural treasures, stunning beaches and soothing climate, Costa Brava boasts of a collection of hidden gem destinations along its pristine coastline. Your ideal day itineraries should include Tossa de Mar, a rustic marine town and considered as one of the most beautiful places in Costa Brava; Cala San Francesc, a relatively undisturbed beach; Lloret de Mar and Blanes, if you are looking for some serious shopping experience. A great way to experience Costa Brava is by taking on the excitement and thrill of the Mediterranean Sea on a superyacht. You will easily find one perfect yacht charter that is right for your taste and budget. What is great about this travel adventure is that you have a range of sailing options to choose from. You can decide on a yacht charter with a skipper or sail without one. You can also draw up your own fun activities on your yacht rental and go sports fishing, sunbathing or go diving in the idyllic blue waters of the Mediterranean Sea. The excitement and adventures starts even before you get to Costa Brava. Set the stage of a really refreshing experience of the Mediterranean and Costa Brava with the yacht charter holiday of your choice.